It’s week eleven on our quest to visit and write about a Cincinnati brewery each week in 2019. I’m hoping that we’ll be able to cover just about every one by year’s end! Rhinegeist Brewery has one of my favorite taprooms to visit. It’s a HUGE space and they have a rooftop bar (seasonal). It’s a killer combination! 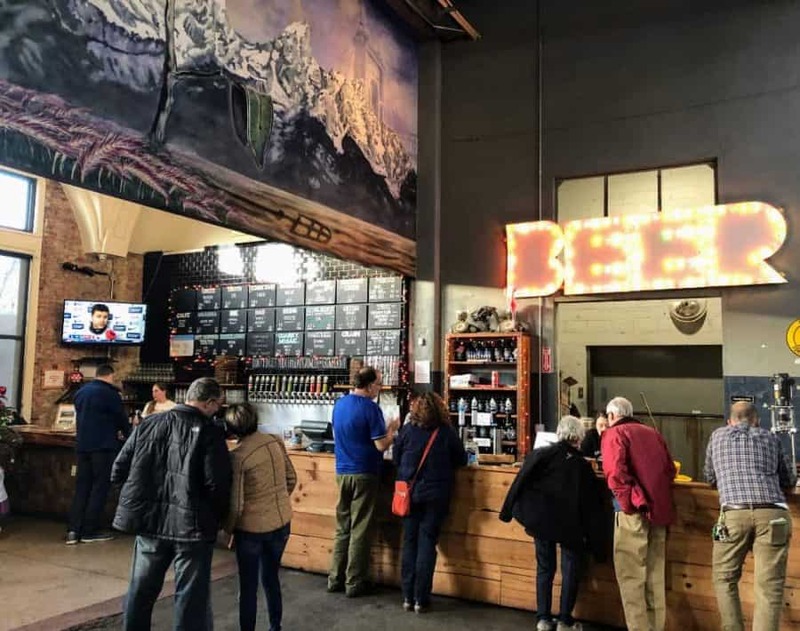 This downtown brewery encompasses 250,000 square foot in a building that used to house the Christian Moerlein packaging hall (years and years ago). The space is large and they make full use of it. 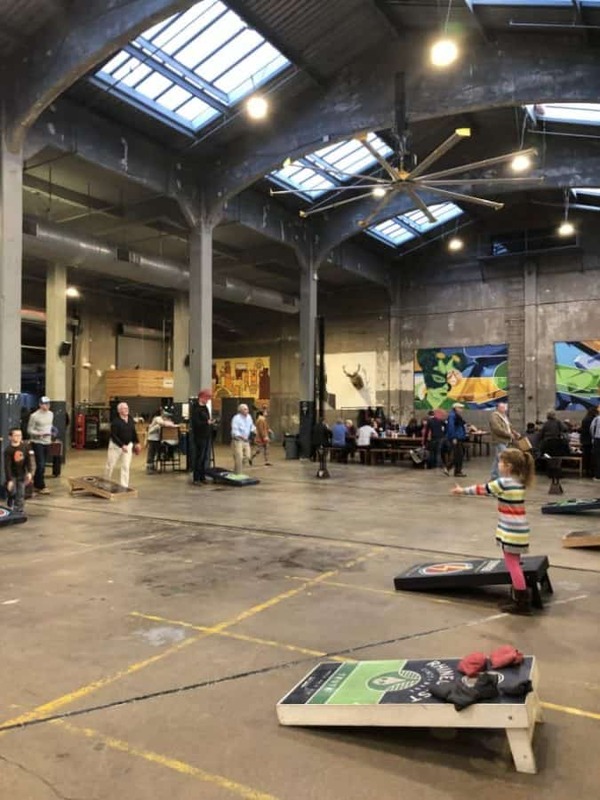 You’ll find corn hole set up on most days in addition to indoor wiffle ball leagues and a regular craft market thrown in for good measure. 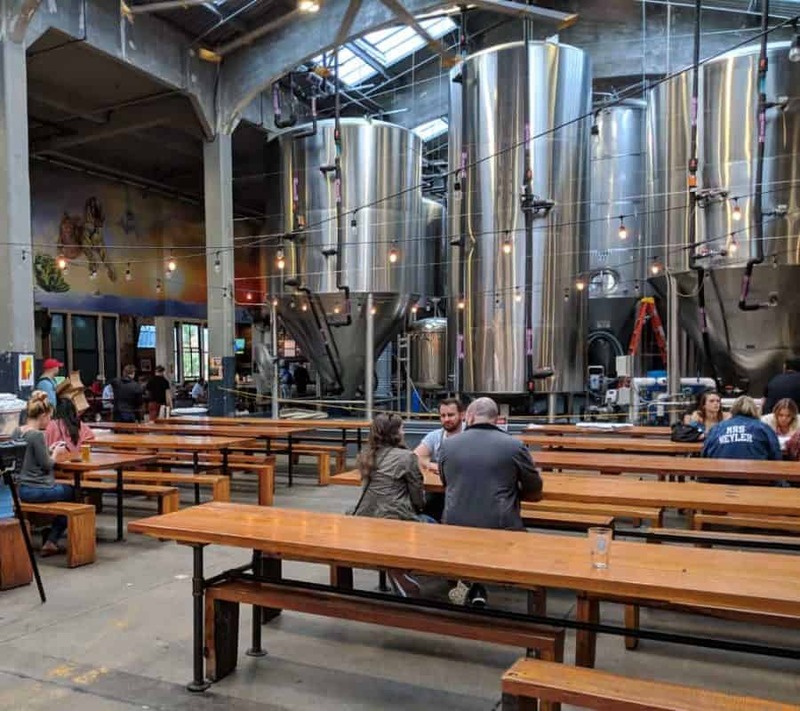 There’s seating throughout the taproom – lots and lots of large tables with benches. 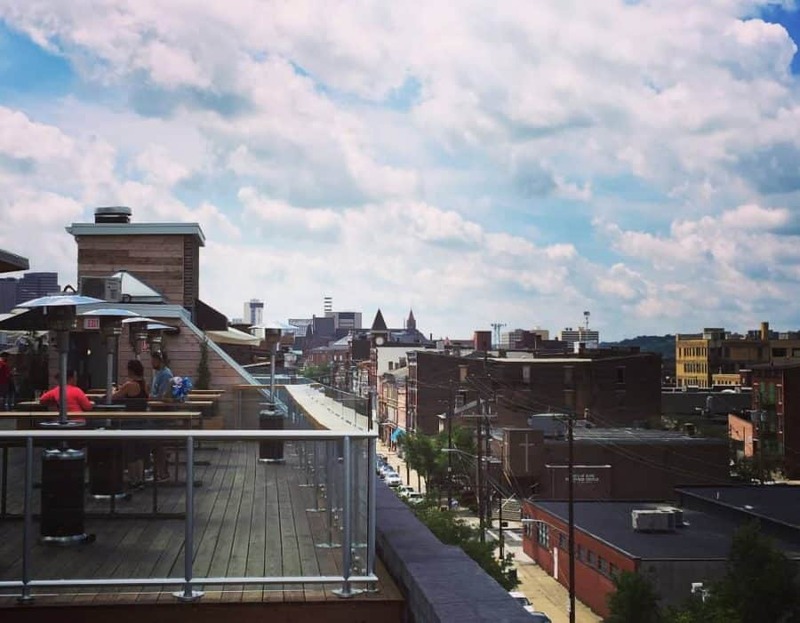 Head up to the rooftop bar for a spectacular view of Over the Rhine and downtown. There’s a full bar on the roof along with some table space and seating. 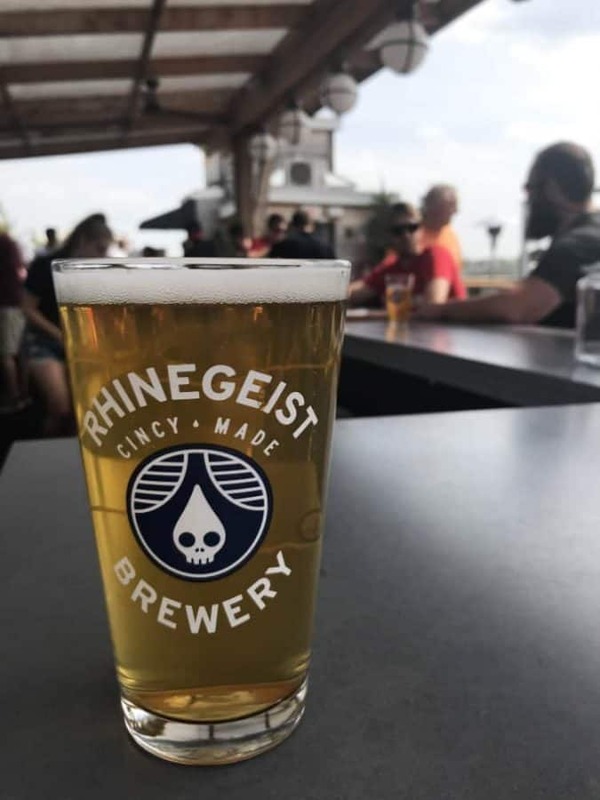 As far as the beer goes, Rhinegeist Brewery is well known for their “west coast style” beer and (my take on it is that) they mostly feature hoppy beer. As a person who’s not fond of most IPA’s, I often find that my choices are limited at Rhinegeist. BUT I do always find something I like amongst their “not as hoppy” selections (and they do have a few great ones). 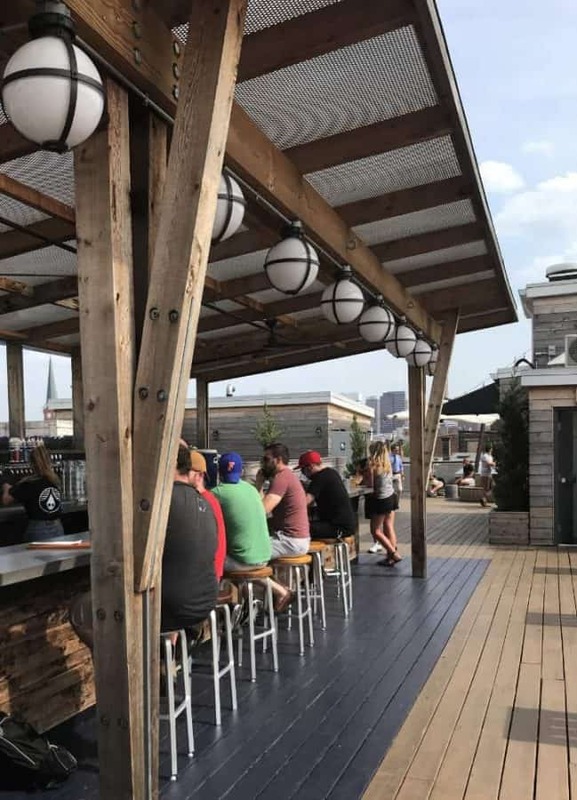 Tips: Be aware that the rooftop and the taproom require you to scale several flights of steps. They do have an elevator if you need it. Contact someone in the taproom for use of the elevator (call ahead at 513-381-1367 ). The rooftop is 21 and over (no food allowed there). When can I go? They are open six days a week (closed Monday). Do they fill growlers? Yes, they fill growlers and crowlers. Do they serve any other alcohol? They have their own fruited ales and ciders on tap (hello, Bubbles!). The rooftop bar also serves cocktails and wine. Where do I park? There is a SMALL parking lot across the street. There’s some off street parking around the building. Paid parking is available at Dunlap and Henry St. There is a street car stop in front of the brewery. Do they have food? 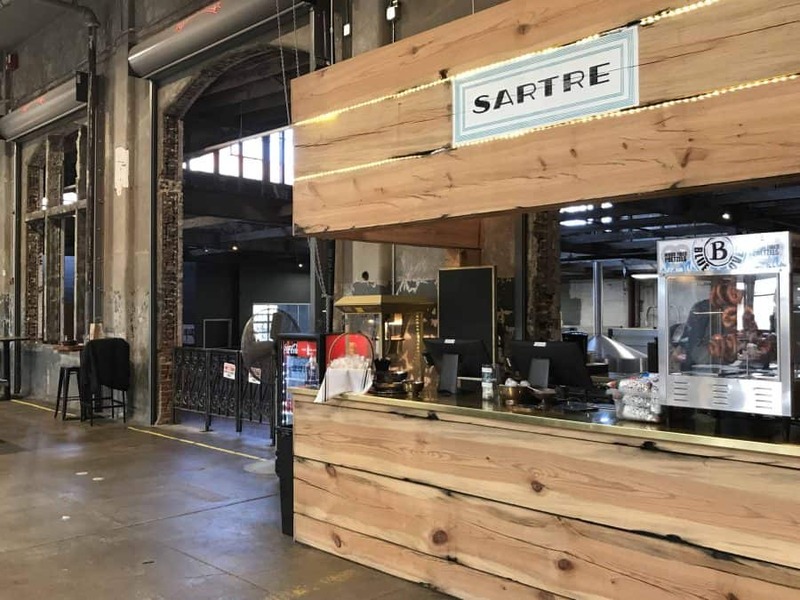 Neighboring Sartre serves casual American fare in the taproom (burgers, sandwiches, pretzels, etc.) and it’s good! You can also bring in food. Findlay Market is just down the street and offers many different food options. Food is not allowed on the rooftop. How big is the taproom? Can we hold an event or a party there? The taproom is large. You can reserve tables. They do have private event space as well. Do they offer brewery tours? Yes, they offer both public tours and private tours with specialty tastings. Is there any outdoor seating? There’s outdoor seating at the rooftop bar, weather permitting. No food is allowed on the rooftop and you must be 21+ to go to the roof. Is the taproom kid friendly? Yes, the main taproom is very kid friendly. After 8pm on Thursday, Friday, and Saturday nights, you must be 21+ to enter the taproom. The rooftop is 21+ only. Is Rhinegeist Brewery pet friendly? Pets are not allowed in the brewery.